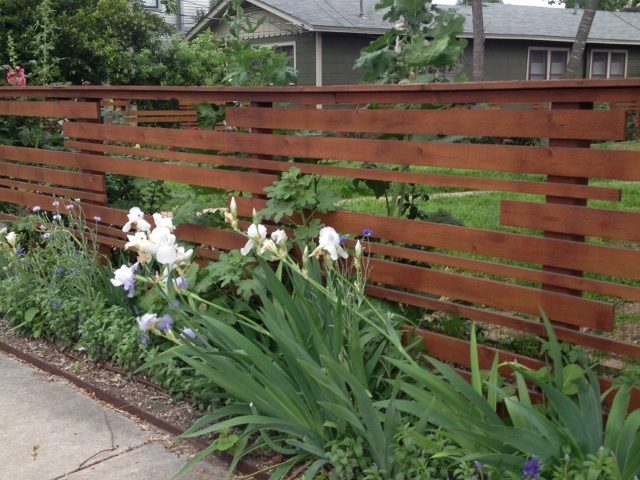 Leave it to a garden designer to go to one of the world’s premier music and media conferences and return home with a ton of pictures of…..fences. 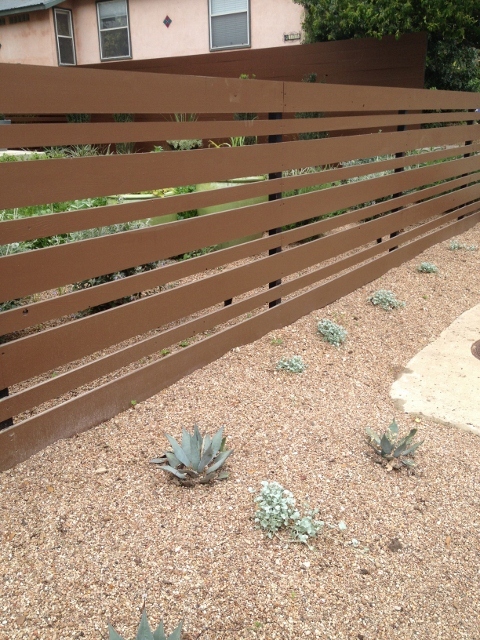 This horizontal wooden fence is not only stylish in its simplicity and departure from the more common vertical alignment, it is also a “smart” fence, with two of the sides having gaps between the slats but the side shared with the neighbors being solid and allowing for more privacy. 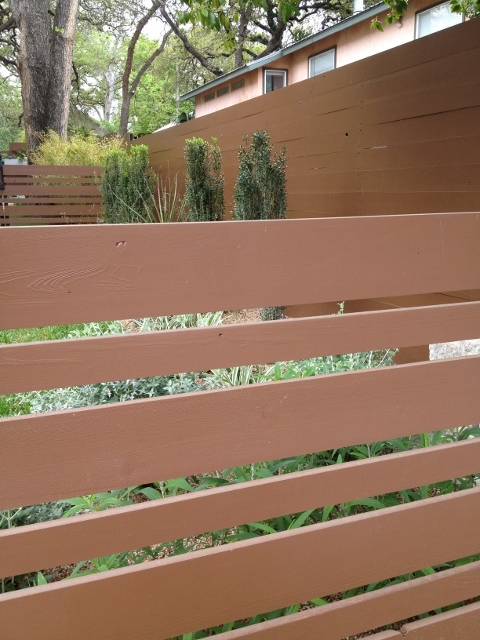 This is another example of experimenting with openings to make a fence more fun. Again, a boundary is built but it looks more akin to art rather than an element of some strict, impermeable fortress. 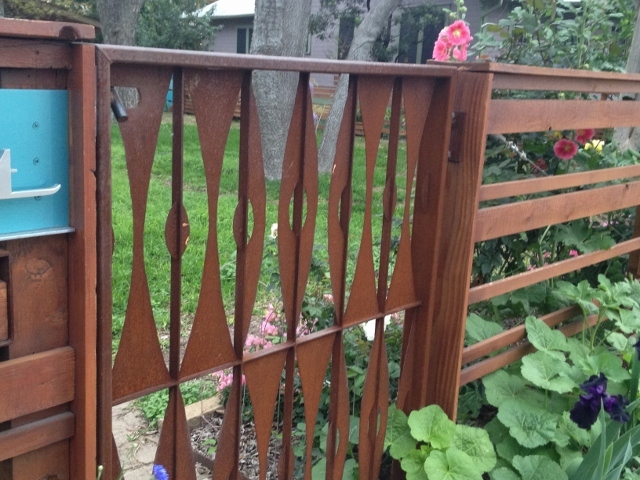 The metal gate provides continuity by using the same rust color as the wooden fence but plays with the vertical dimension rather than the horizontal. This shorter fence is almost like a sturdy lattice. 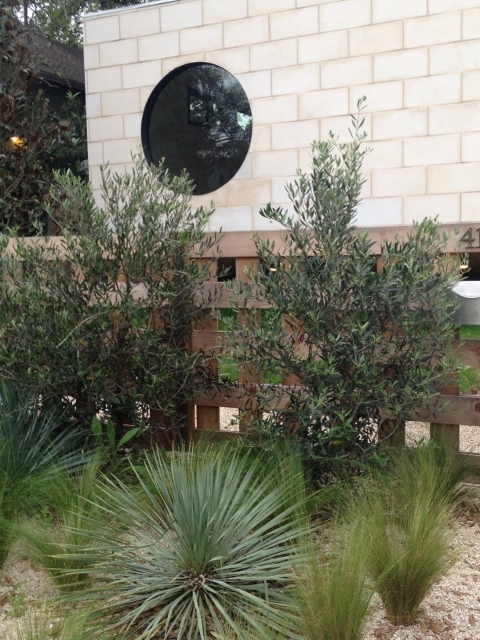 The open squares allow the olive trees to be visible from the other side which, if you think about it, is a very efficient use of beauty!